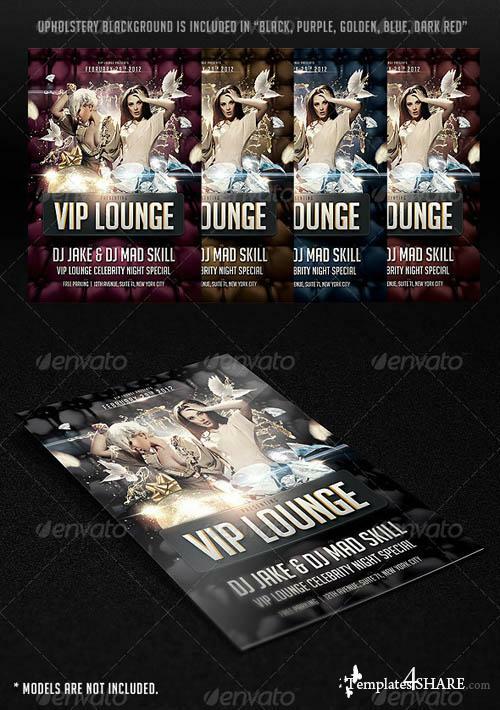 High quality flyer design, ideal for VIP /top class clubs, with a nice title style that could be easily edited, and a classy upholstery background, that comes in 5 colors. Also you can easily change Texts, Colors, Add/Remove objects to this layered PSD, To get new versions of the design. 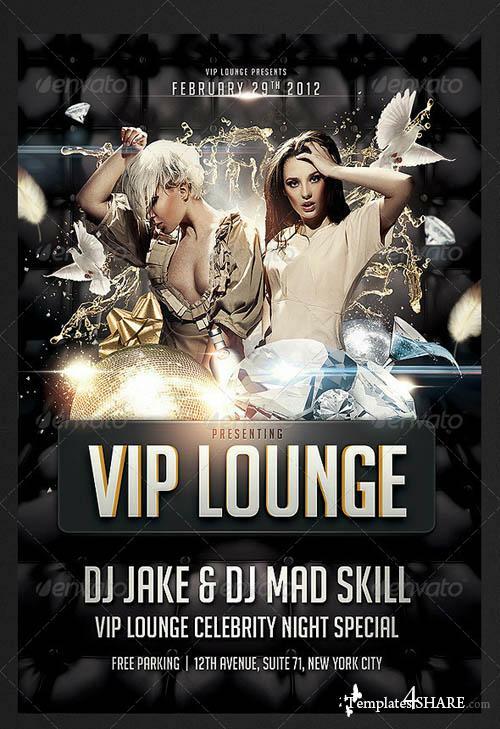 What you see is what you get all elements shown are included in the PSD except for the models.